Capul Island is one of the must visit gems of Northern Samar. This island municipality can bring you back because of the famous century old Capul lighthouse and Capul Church. If you’re into outdoors, you can explore the hidden and majestic caves or hop on and off the rock formations, by the shore, it’s your choice. If you just want to relax, no worries, the island is surrounded by crystal clear waters and the cool fresh air that blows continuously. The coconut and other trees create an amazing backdrop by the shore highlighted by the white sand beaches. My second day started from Catbalogan City and at Grand Tour Terminal. Since there was no available direct route to Allen, I rode in a van bound for Calbayog City and at Calbayog City, another van bound to the Municipality of Allen, Northern Samar. At Grand Tour Terminal in Allen, rode in a trike to Looc Port. At 12 noon, a boat ride to Capul Island. TAKE NOTE: there is only one scheduled trip from Allen to Capul Island which leaves at 12 noon. Travel Time and expenses are on the last two photos below. The walls made up of coral stones. Look, there’s a cannon by the church. Smiling while Typhoon Samuel is on the background. The Capul Church or Fuerza de Capul (San Ignacio de Loyola Parish Church) was first established by the Jesuits in 1596. The original structure of the church was erected using wood and nipa roofs, but was destroyed by the Moros. It was then repaired in 1781 using the stone to fortify against Moro attacks, similar to Intramuros, Manila and Fort San Pedro in Cebu. The restoration was led by Fr. Mariano Valero. 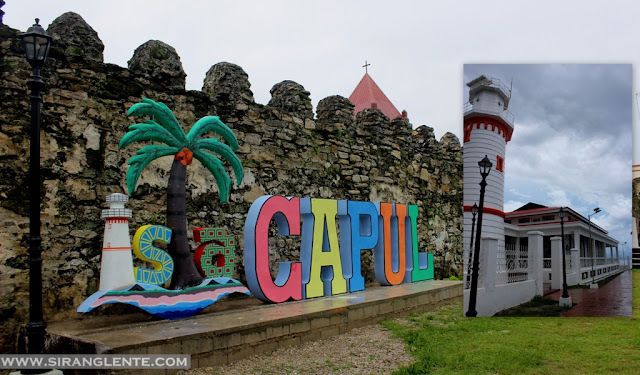 Our next destination was the Capul Lighthouse situated in San Luis, Northern tip of Capul Island. This is designed with a cylindrical lighthouse, a pavilion and machinery. Its structural design started in 1892 by Guillermo Brockman, however, the construction started in 1893 under Francisco Perez Munoz. The construction was suspended during the Philippine Revolution but was first lit in December of 1896, while not yet completed. Like the other lighthouses in the Philippines, Capul Lighthouse was built on a higher elevation of the island. 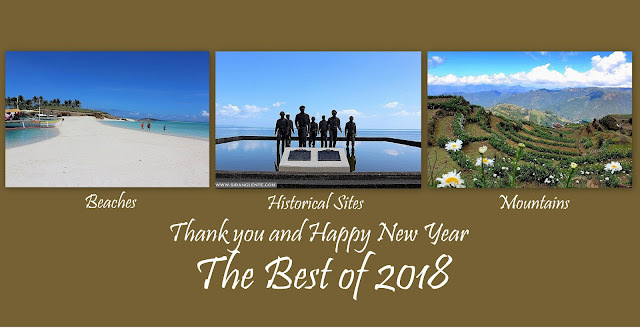 This structure witnessed a lot in terms of the historical event by the water as it guides the mariners passing by San Bernardino Strait during the Spanish and American colonial period. Today, the Capul lighthouse still does its job to guide the all type of sea vessels passing by the island and Matnog, Sorsogon. Hotels and resorts in Capul Island are in the simplest form. There are no gigantic commercial structures in the island and the people are also living in the simplest way. I stayed at Jadil’s Pension House and Kusina de Capul. They have their face book page where you can do reservations Expenses are on the last two photos below. You can also check Capul Island Beach Resort on facebook. Going back to Allen, Northern Samar: From Jadil’s, I rode in a motorcycle to the Port of San Luis. Travel Time: 10 to 15 minutes. Please note that there is only 1 scheduled trip from Capul to Allen and it is at 6 AM. If you missed the trip, then, you need to spend another night on the island.